So, as part of me trying to use my cookbooks more, I tried a whopping one new recipe this week! Woo! We had Mr Hatter's grandma over for dinner last night, so I thought I would try a new dessert recipe to give to her. Enter my favourite recipe book for entertaining - Veganomicon. I've looked at the lemon bars recipe before but as I've never had one, I didn't know what they were supposed to be like and have previously avoided it. But not this week! The recipe seemed pretty simple, and the execution wasn't too hard. My tin was slightly bigger than the one specified in the recipe though, so they came out a little flatter than I think they are supposed to be. They were still very tasty though! The texture was strange - a bit like a very firm jelly. They were lovely and lemony though, and when we fed some of the leftovers to Mother-in-law Hatter today, she said that it reminded her of lemon meringue pie. Which again is something I've never had but there we go! Yum! That's one more new recipe that I've managed this week! 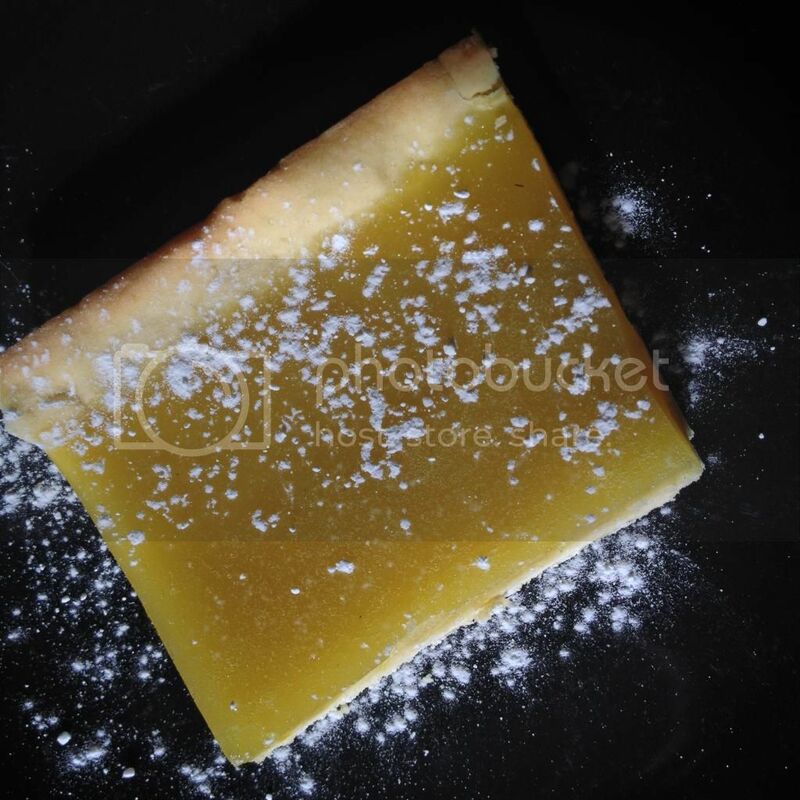 I totally love lemon bars and this recipe is my go to. I was very pleasantly surprised! I had no idea what to expect but they turned out great and disappeared quickly!